◎2nd Naval District/1st Naval District. ↑Itty E (U. S. Motor Boat). In port (in the center of the photo) circa May-July 1917, probably while being prepared for Navy service. 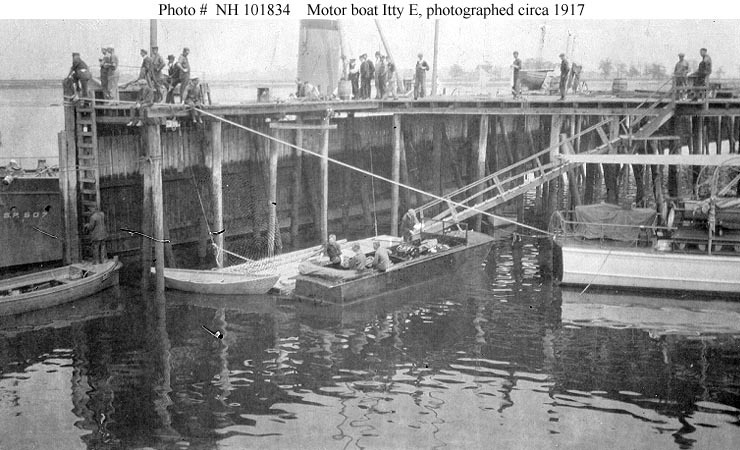 This small craft served as USS Itty E (SP-952) during 1917-20. USS Machigonne (SP-507) can be seen on the opposite side of the pier, with her bow number, stack and masts visible. The original print is in National Archives' Record Group 19-LCM. U. S. Naval Historical Center Photograph. ◎Blockade of Cuba. Engagement at Nipe, 21 Jul 1898. 3rd Naval District. Annapolis. ◎Auxiliary Naval Force. 5th Naval District. ↑USS Yarrow (SP-1010). Underway on Lake Michigan during World War I. Built at Chicago, Illinois, in 1913, the pleasure craft Yarrow was placed in commission by the Navy as USS Yarrow on 27 July 1917 and formally acquired a month later, on 27 August. She was returned to her owner on 7 March 1919. The original photograph is in Record Group 19-LCM in the National Archives. U. S. Naval Historical Center Photograph. ↑S. 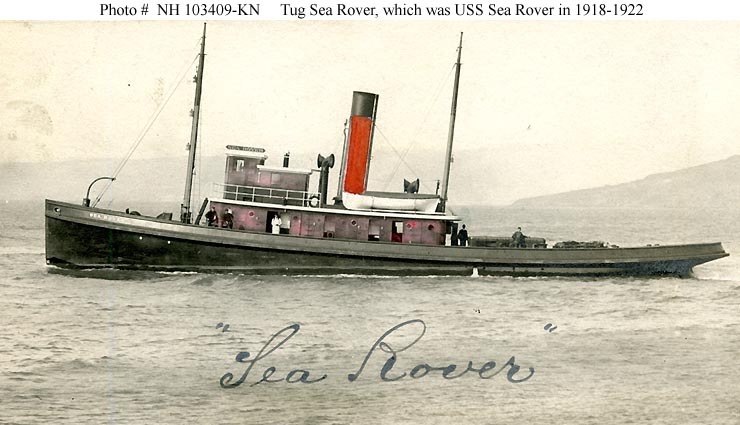 S. Sea Rover (American Tug). Color-tinted photograph taken prior to World War I, probably in San Francisco Bay, California. This tug was USS Sea Rover (SP-1014, later AT-57) in 1918-1922. U. S. Naval Historical Center Photograph. ◎4th Naval District/5th Naval District.